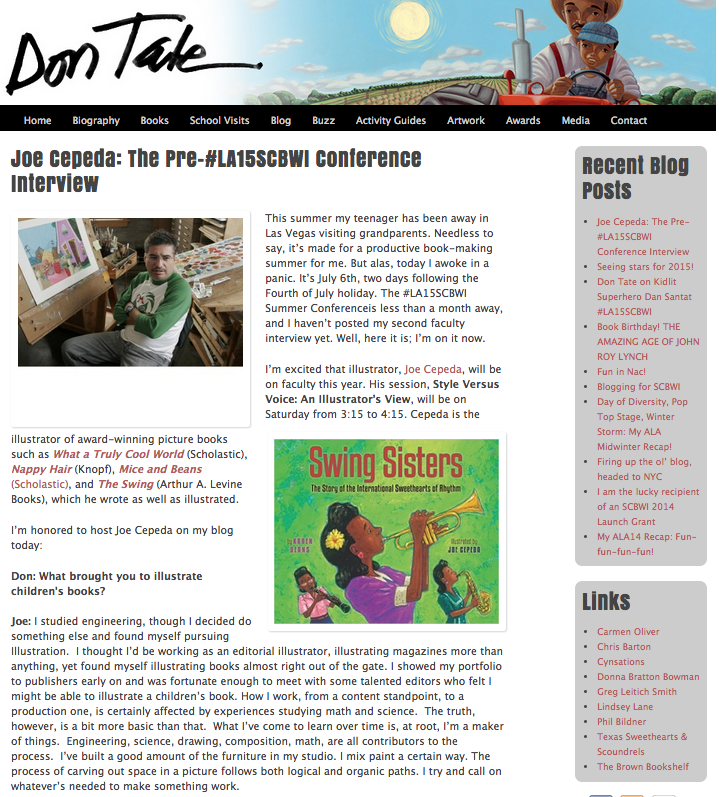 Another great in-depth interview between SCBWI Team Blog's Don Tate and awesome illustrator Joe Cepeda for you at Don's blog here. They talk about philosophy, diversity, portfolios, so much more. 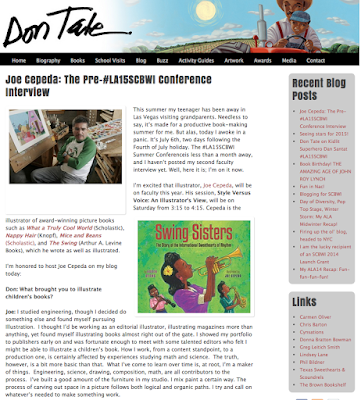 Joe also shares about his breakout workshop at the conference, "Style Versus Voice: An Illustrator’s View." 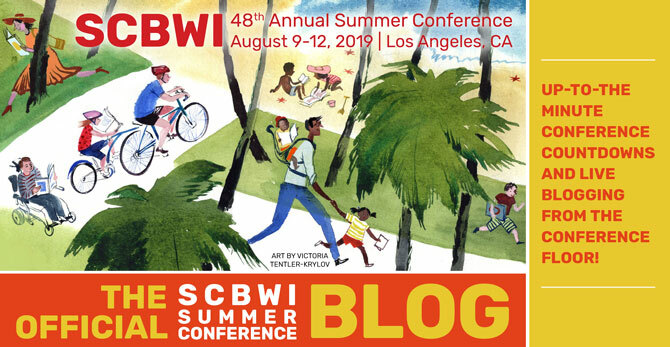 The 2015 SCBWI Summer Conference is fast approaching! We hope you'll join us.